A 15-chapter expose on Johnson & Johnson by a Huffington Post reporter reveals how J&J’s drug Risperdal became a blockbuster product for the company. This drug was approved by the FDA in 1993 to treat severe mental disorders like bipolar disorder and schizophrenia. However, Risperdal has also been prescribed off-label to treat some conditions in the elderly and children, including dementia in seniors and attention deficit hyperactivity disorder, or ADHD in children. The off-label use was encouraged by Johnson & Johnson, despite numerous concerns from the FDA over side effects like hormonal disorders. In elderly patients, the FDA voiced alarms over potentially dangerous side effects, such as strokes and diabetes. Despite concerns, the Huffington Post reported that as much as half of all Risperdal sales were from prescriptions written for children to treat a number of behavioral disorders. When J&J executives and sales agents were confronted about their Risperdal marketing for young and elderly patients, the charges were vehemently denied. Even a sales member who had walked into a pediatric neurologist’s office that was clearly labeled as such told officials he was unaware the physician did not treat adults. The company further asserted that their product provided a great deal of benefit to many patients. Despite Johnson & Johnson’s claims, there have been a growing number of individuals that claim they have been injured by the drug. Once of the most concerning side effects has been breast growth in boys and young men that were prescribed Risperdal for ADHD and other behavioral disorders. This condition, known as gynecomastia, can be an embarrassing and socially painful problem that may persist even after the drug is stopped. In some cases, surgery is the only way to effectively treat gynecomastia. 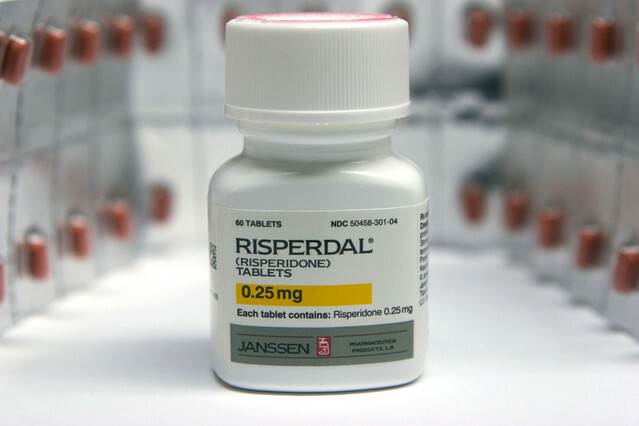 Risperdal problems reached new heights when a young man filed a lawsuit against Johnson & Johnson claiming Risperdal use during his childhood and adolescence led to the development of size 46 DD breasts. A jury found in favor of the plaintiff in February 2015, awarding him $2.5 million in damages. Since that time, Johnson & Johnson has settled numerous Risperdal lawsuits, to an amount that is approaching $3 billion. However, with hundreds of cases still pending, the company is now trying to weed out the weaker cases, according to the Huffington Post report, in hopes of saving on the final settlement costs. The Huffington Post also states in their report that the growing litigation does not appear to be phasing stockholders for the company, who rest in the knowledge the company has already put aside funds in their annual budget to account for the legal expenses. In fact, some have called the litigation the “cost of doing business,” and that lawsuits involving at least some of Johnson & Johnson’s drugs are simply par for the course in an industry where litigation frequently targets large corporations. Men who have filed lawsuits against Johnson & Johnson involving Risperdal have suffered serious and sometimes permanent side effects. While gynecomastia is not usually serious from a medical standpoint, the condition can be devastating both socially and psychologically. Men that experience breast growth often develop low self-esteem and some require professional counseling to deal with their conditions. The costs of treatment can be high, which is one reason men have been seeking legal action in hopes of pursuing damages to help them cover at least a portion of their medical expenses. Have You Been Injured by Risperdal?